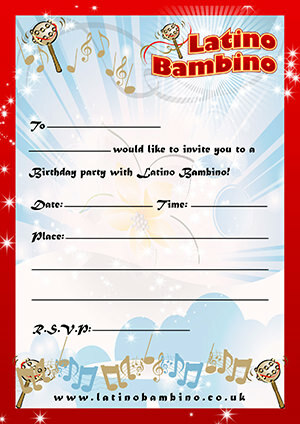 Latino Bambino parties are unique, high-energy, physical extravaganzas involving Latin and other funky music, dancing games, colourful props and lots of fun. 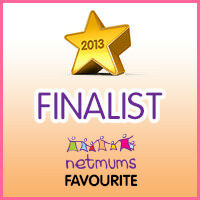 We cover Greater London but could travel outside M25 too. 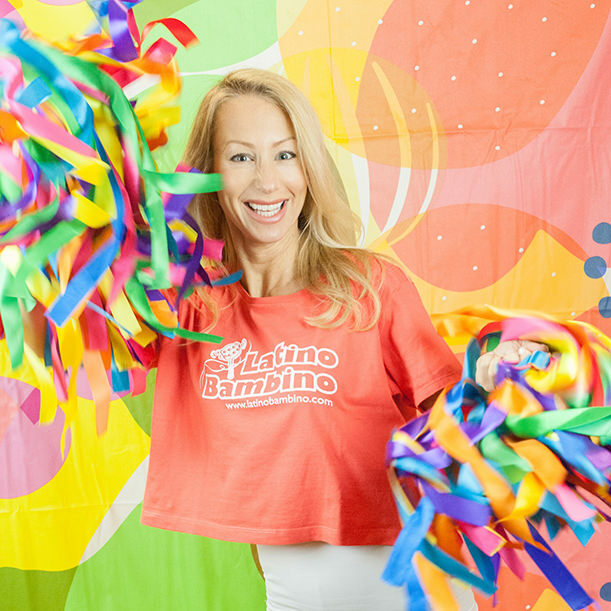 Rather than sitting and watching a magician perform, we’ll get the children up and moving with maracas, pom poms, ribbons, hula hoops, limbo, bubbles, parachute and more for a real FIESTA time! 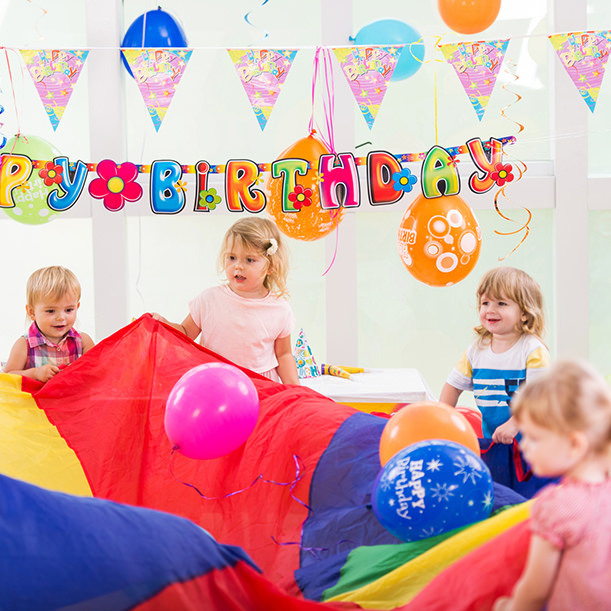 Our Parties are suitable for boys and girls ages 2-7 years however we can cater for a little older as well so do get in touch. 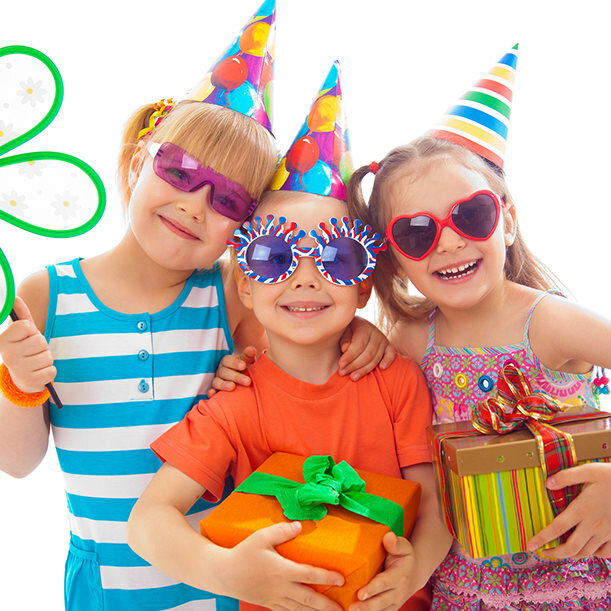 We look forward to helping you customize ‘the Best Fiesta Party’ for your child! 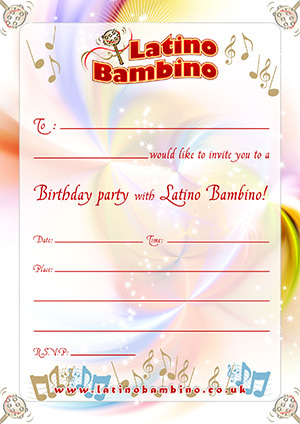 Latino Bambino offers party entertainment at your chosen location which can be your home or a hall/venue you hired. 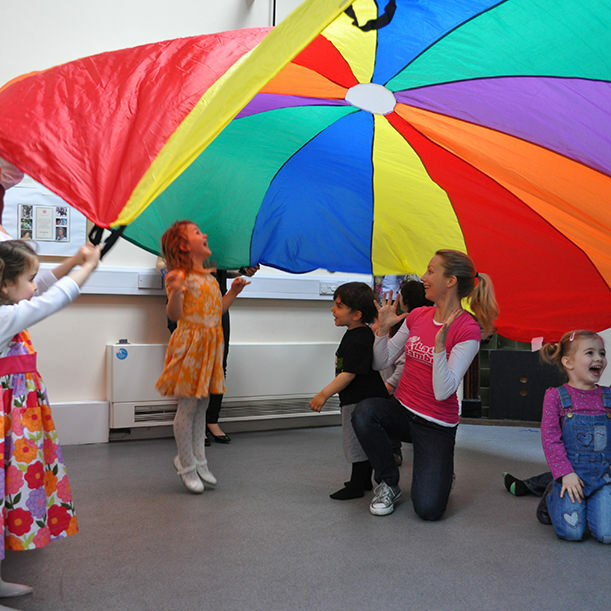 All we need from you is enough space for children to move around, a plug point for our music, table and the children! We’ll take care of the rest. 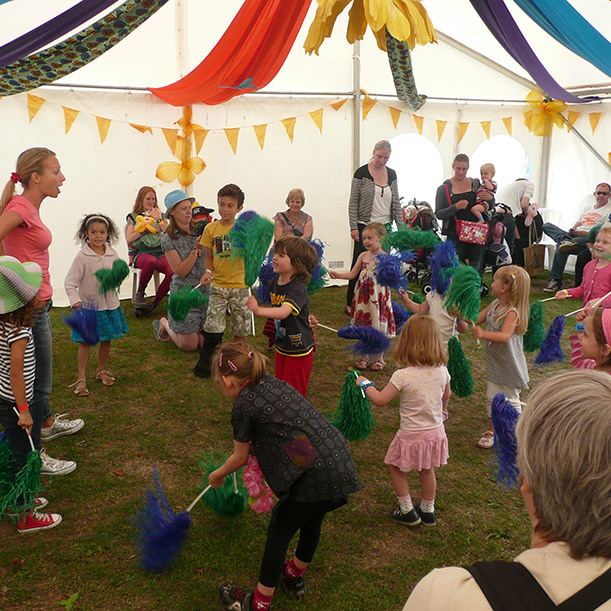 We offer 1 or 2 hour packages depending on the age of the children and your requirements. 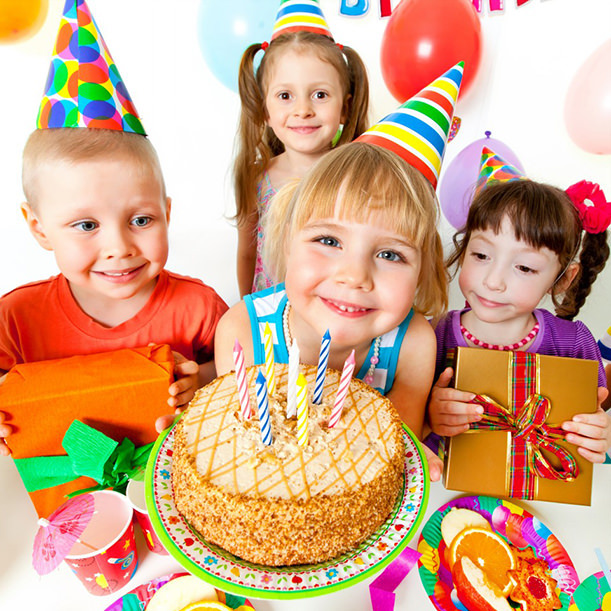 2 hours are most common duration for a child’s party. The entertainment normally happens at the beginning after all the guests arrive, followed by the food and/or cake. 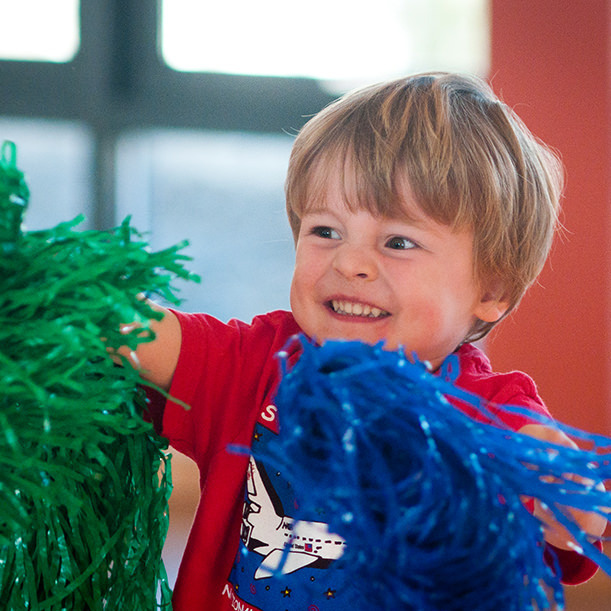 Children build up an appetite and eat/drink well after the physical activity. 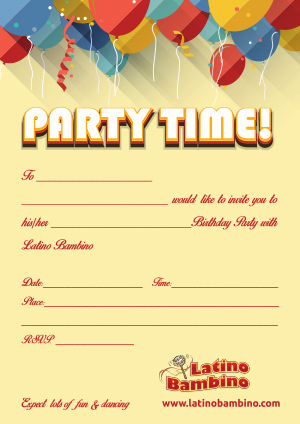 More entertainment and party games will continue after the food break if you booked a 2 hour package. 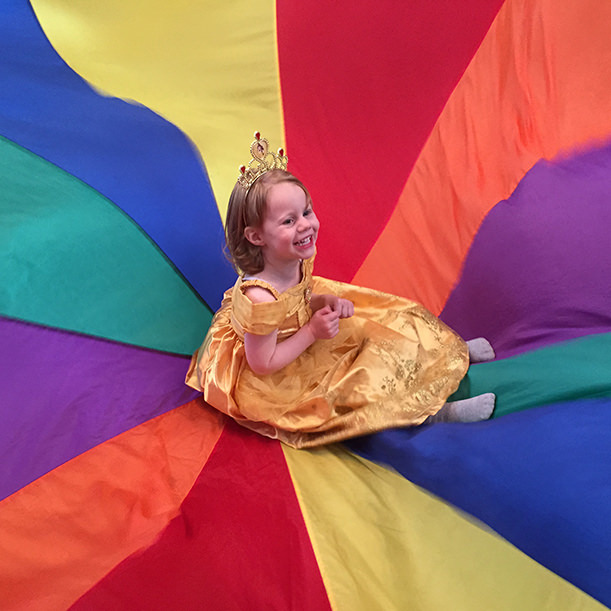 If you have a bouncy castle or other toys available we would ask to put them away during the entertainment as it helps the children to fully engage in the activity without any distractions. 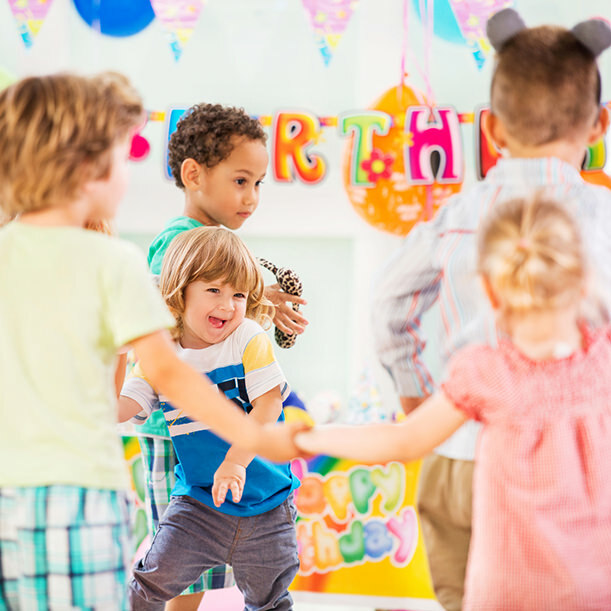 If the party is for smaller children (ages 1 or 2 years) adult participation is the key.